'Nightwood,' A Hymn To The Dispossessed Djuna Barnes' novel of passion and grief, of exile and loneliness, spoke directly to Siri Hustvedt, both when she read it as a 24-year-old and when she re-read it nearly 30 years later. 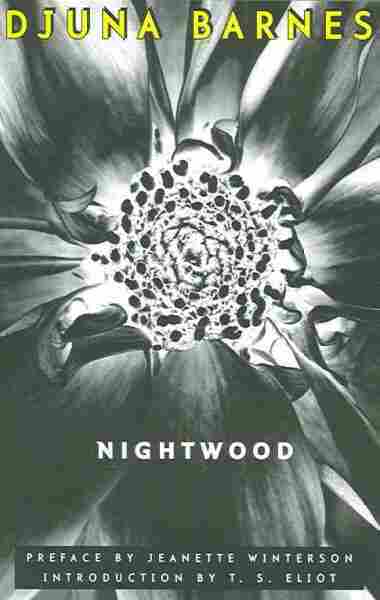 The spring after I turned 24, I discovered Nightwood by Djuna Barnes, a slender, dense novel that I read with the aching intensity of a person possessed. It wasn't about my world — I had grown up in a small town in Minnesota and then moved to New York City. Nightwood is set mostly in a Paris Barnes knew intimately in the 1920s, a city inhabited by ex-pats, drifters and poseurs. And yet, the story of passion and grief, of exile and loneliness, spoke directly to me, a young woman who, for some reason, had never felt she quite belonged anywhere. I carried the book around with me, reread passages, pondered their meanings, and suffered with Nora Flood, whose liaison with the wild, amoral Robin Vote, becomes her abiding anguish. And I pored over the speeches delivered by my favorite character, the novel's bombastic but tender bard, Dr. Matthew O'Connor — a cross-dresser, petty thief, inveterate liar and tragic anti-hero. One afternoon, that same spring, I found myself sitting next to an elderly woman on the subway. She looked down at the volume in my lap, and said, "Oh, Djuna Barnes. I know her. Would you like to write to her?" She gave me the author's address, and I sat down to write a page-long testament to the power of Nightwood. A year and a half later, I received a reply: "Your letter," Barnes wrote, "has given me great difficulty." That was all. A couple of months later, I read in the newspaper that the 90-year-old Barnes was dead. I realized that her letter to me must have been one of the last things she wrote. 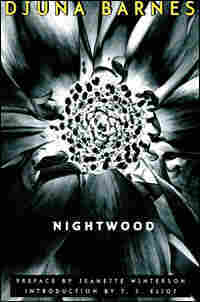 Almost 30 years have passed since then, and I've always been a little afraid to return to Nightwood. What if the book was a folly of my youth? What if I found it overwrought and shallow, rather than rich and deep? But when I read it again, I loved it, and again found myself amazed by its prose. In his introduction to the novel when it was first published in 1937, T.S. Eliot called Barnes' language "astonishing." He was right. "Ho, nocturnal hag, whimpering on the thorn, rot in the grist, mildew on the corn," the doctor says to Nora during a lyrical tirade. A page later, his diction drops when he confesses that he was born in the wrong body: "I never asked better than to boil some good man's potatoes and toss up a child for him every nine months." But the wonder of Nightwood is not only stylistic. It lies in the range and depth of feeling the words convey. There is irony here and humor, too, but in the end, the novel is a hymn to the dispossessed, the misbegotten and those who love too much. At one time or another, I suspect that those adjectives describe most of us. The letter I wrote to Djuna Barnes was the only letter I have ever written to an author I didn't know, and despite her cryptic reply, I am glad I sent it. It turns out that the aging, settled person I have become was just as overwhelmed and impressed by Nightwood as that young woman who rode the subway years ago, feeling a little lost in a big, new city. Jenny Petherbridge was a widow, a middle-aged woman who had been married four times. Each husband had wasted away and died; she had been like a squirrel racing a wheel day and night in an endeavor to make them historical; they could not survive it. She had a beaked head and body, small, feeble, and ferocious, that somehow made one associate her with Judy; they did not go together. Only severed could any part of her have been called "right." There was a trembling ardour in her wrists and fingers as if she were suffering from some elaborate denial. She looked old, yet expectant of age; she seemed to be steaming in the vapours of someone else about to die; still she gave off an odour to the mind (for there are purely mental smells that have no reality of a woman about to be accouchée. Her body suffered from its fare, laughter and crumbs, abuse and indulgence. But put out a hand to touch her, and her hand moved perceptibly with the broken arc of two instincts, recoil and advance, so that the head rocked timidly and aggressively at the same moment, giving her a slightly shuddering and expectant rhythm. She writhed under the necessity of being unable to wear anything becoming, being one of those panicky little women who, no matter what they put on, look like a child under penance. She had a fancy for tiny ivory or jade elephants; she said they were luck; she left a trail of tiny elephants wherever she went; and she went hurriedly and gasping. Her walls, her cupboards, her bureaux, were teeming with second-hand dealings with life. It takes a bold and authentic robber to get first –hand plunder. Someone else's marriage ring was on her finger; the photograph taken of Robin for Nora sat upon her table. The books in her library were other people's selections. She lived among her own things like a visitor to a room kept "exactly as it was when." She tiptoed, even when she went to draw a bath, nervous and andante. She stopped, fluttering and febrile, before every object in her house. She had no sense of humour or peace or rest, and her own quivering uncertainty made even the objects which she pointed out to the company, as, "My virgin from Palma," or, "The left-hand glove of La Duse," recede into a distance of uncertainty, so that it was almost impossible for the onlooker to see them at all. When anyone was witty about a contemporary event, she would look perplexed and a little dismayed, as if someone had done something that really should not have been done; therefore her attention had been narrowed down to listening for faux pas. She frequently talked about something being the "death of her," and certainly anything could have been had she been the first to suffer it. The words that fell from her mouth seemed to have been lent to her; she had been forced to invent a vocabulary of two words, "ah" and "oh." Hovering, trembling, tip-toeing, she would unwind anecdote after anecdote in a light rapid lisping voice which one always expected to change, to drop and to become the "every day" voice; but it never did. The stories were humorous, well told. She would smile, toss her hands up, widen her eyes; immediately everyone in the room had a certain feeling of something lost, sensing that there was one person who was missing the importance of the moment, who had not heard the story; the teller herself. She had endless cutting and scraps from her journals and old theatre programmes, haunted the Comédie Française, spoke of Molière, Racine and La Dame aux Camélias. She was generous with money. She made gifts lavishly and spontaneously. She was the worst recipient of presents in the world. She sent bushel basket of camellias to actresses because she had a passion for the characters they portrayed. The flowers were tied with yards of satin ribbon, and a note accompanied them, effusive and gently. To men she sent books by the dozen; the general feeling was that she was a well-read woman, though she had read perhaps ten books in her life.